You don’t always have to be standing up when you take a photo. Likewise, if you continually set your tripod to the same height, your shots will end up looking similar. Shake things up, even when you’re using a wide-angle lens. Pointing the camera up or down when you’re working with focal lengths in the wide-angle region invites more vertical distortion than you can shake a stick at. Avoid it! Pictures can be taken from a low perspective, but more importantly, up close and personal. The camera is about 18 inches away from the bogey wheel on this Walker M-41 Bulldog (a U.S. light tank from the Korean War era). The focal length of this shot is also 10mm/15mm. 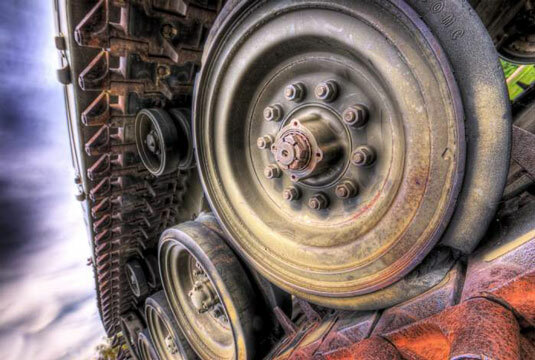 The point here is that the presence of the near wheel was magnified by getting closer, but capture most of the other wheels and track at the same time. In other words, you can often have your cake and eat it too if you shoot with wide angles. Don’t be afraid to switch your camera to a vertical (portrait) orientation, even when shooting wide-angle shots. 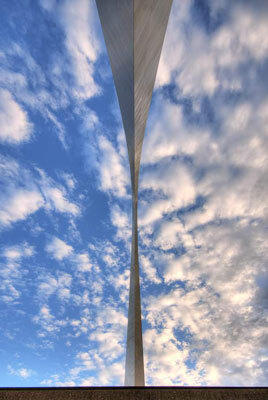 This HDR shot (10mm/15mm) was taken as the photographer was walking down the north ramp toward the entrance to the Gateway Arch in St. Louis, Illinois. The entire arch extends up, travels overhead, and then comes down behind the photographer, which is at the top of the photo. Use wide-angle shots to emphasize height. 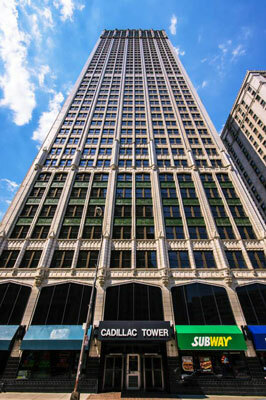 The photo is of the Cadillac Tower in Detroit, Michigan. This building is 40 stories tall and 438 feet high. Although that is 192 feet shorter than the Gateway Arch (just seen), it still looks quite impressive in this shot. A wide-angle lens set to 10mm/15mm was used and the camera was held vertically to fit the entire building in the shot. Notice, however, that the camera is pointing more towards the entrance than the top of the tower. That’s the beauty of using wide-angle lenses. You can fit in so much more than normal lenses, including very tall buildings. When shooting a scene and you want to make sure and get it all in, step back and use a wide-angle lens. 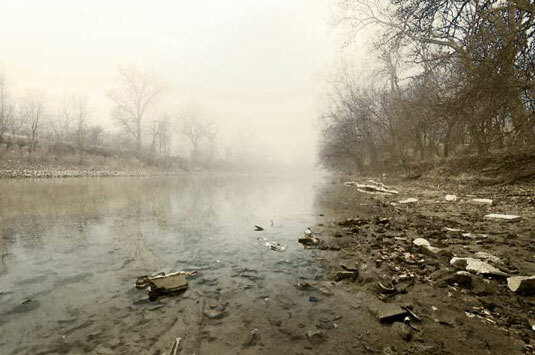 The Mississippi River is about 50 feet behind the photographer. 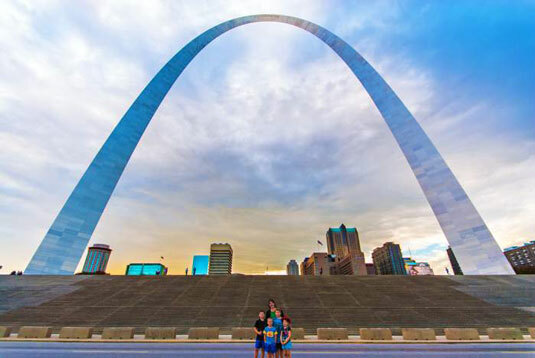 You can see the St. Louis skyline peeking up underneath the arch. The family is posed in the center of the photo. The only way to pull off a shot like this is with a wide-angle lens. There’s no other alternative. The focal length is set to 12mm/18mm to frame the shot just right. Some wide-angle scenes confuse automatic focus modes. If yours is complex and you have a specific point that you want in focus, consider choosing the specific AF point yourself or switching to manual focus.